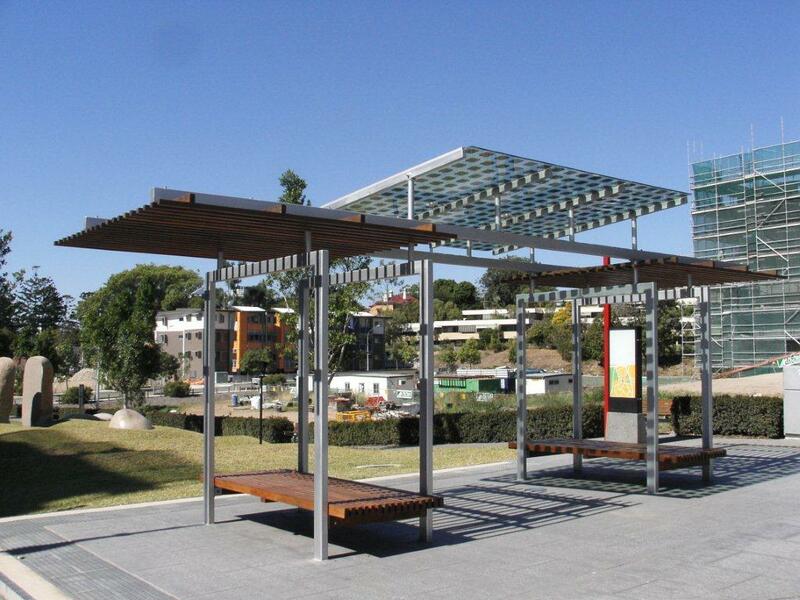 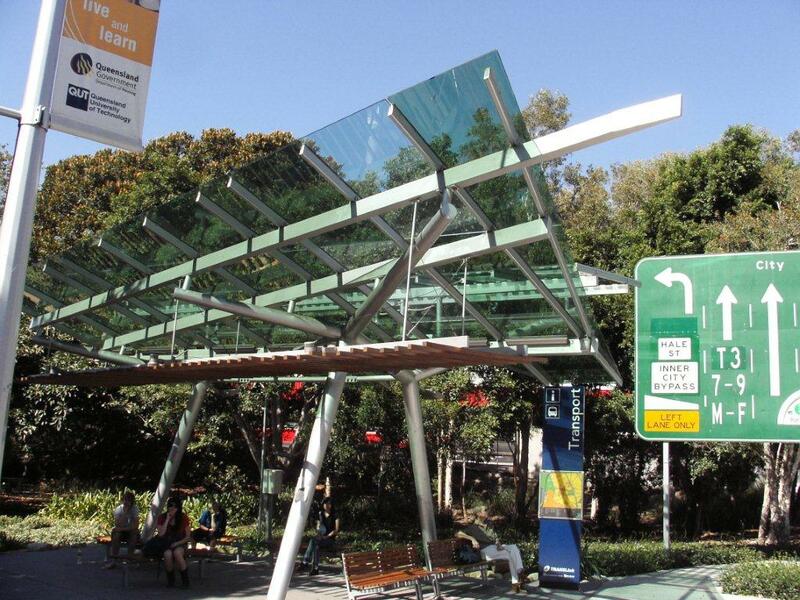 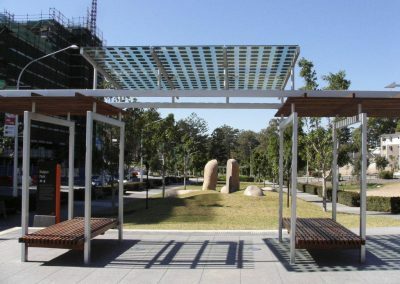 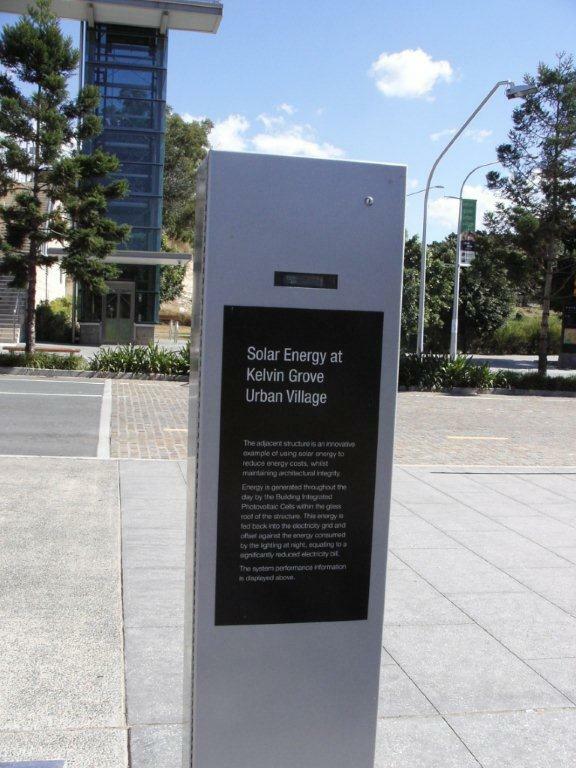 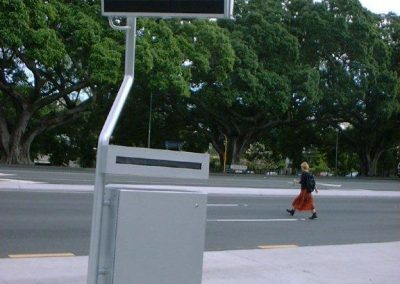 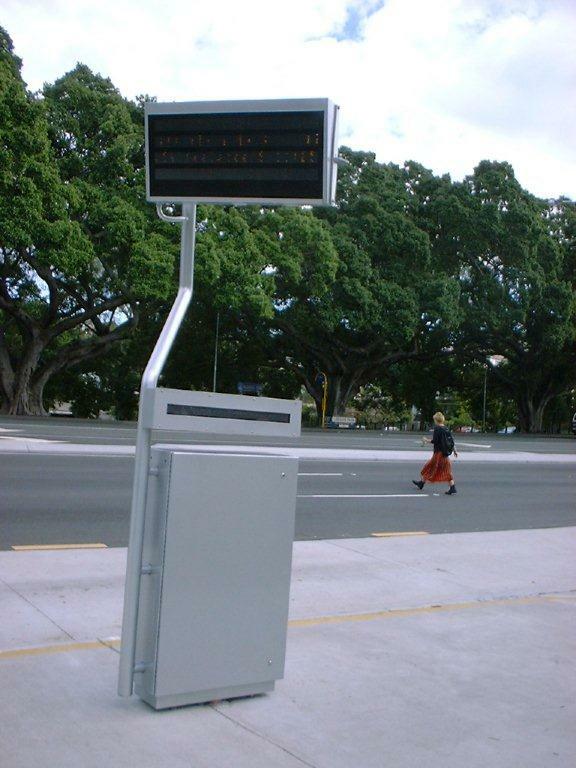 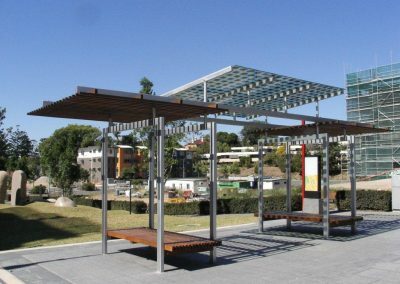 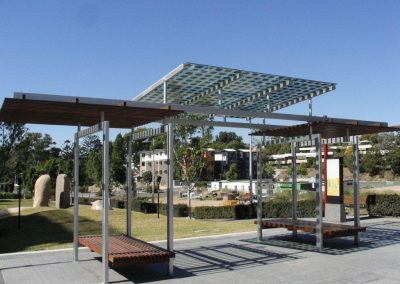 This bus shelter was installed outside the QUT in Kelvin Grove. 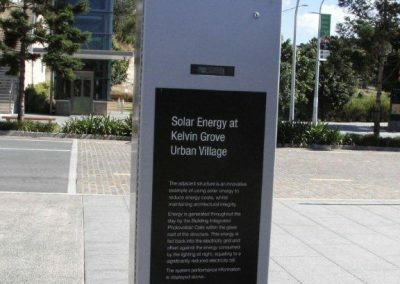 A Solar Electric Grid system that is very visible from the road. 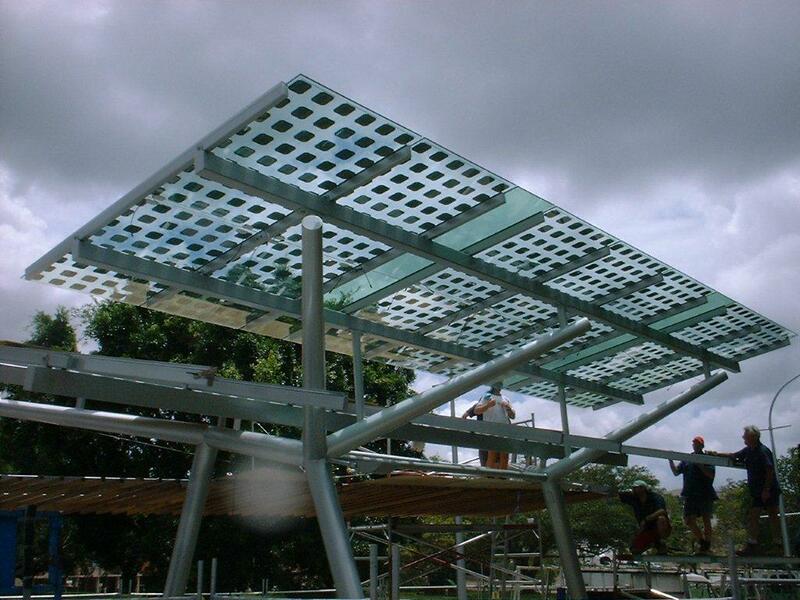 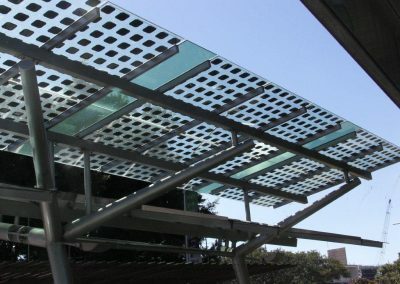 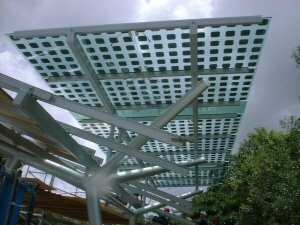 The solar panels were designed and manufactured especially for the project.